Oz Griebel, right, and Monte Frank, newly minted unaffiliated voters. 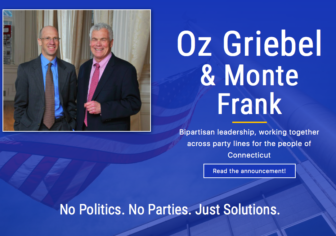 Oz Griebel, who recently retired as leader of the MetroHartford Alliance and exited the Republican Party, will open an independent campaign for governor Wednesday by introducing his running mate, Monte Frank, a Sandy Hook gun-control activist, former Democrat and immediate past president of the Connecticut Bar Association. They are attempting the unprecedented feat of trying to win a race for governor with none of the advantages enjoyed by the previous governor elected without a major party’s endorsement: Lowell P. Weicker Jr., a former Republican three-term U.S. senator who began his campaign with a political base, high name-recognition and an ability to raise money. It will be Griebel’s second race for governor, his first as a petitioning candidate. As a Republican, Griebel finished a distant third in a three-way primary in 2010, drawing 22,390 of the 120,171 votes cast. Tom Foley won the nomination with 50,792 votes, only to lose a close race in the general election to Democrat Dannel P. Malloy. He raised and spent $515,000. Frank is a founder of Team 26, a group that rides their bicycles every year to Washington, D.C., from Newtown, the scene of the Sandy Hook School massacre that claimed the lives of 26 students and educators five years ago. Frank lives in Newtown and, until recently, was a Democrat. 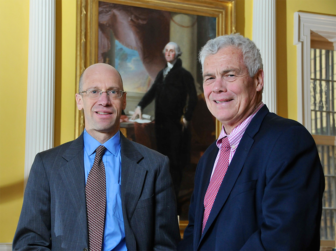 “We are two experienced leaders who believe deeply in the strength of this great State and who are committed to working with you and others throughout Connecticut to address the serious challenges to our fiscal health and our quality of life. Our focus is on restoring the private-sector confidence needed for growth in jobs and wages so that all residents have an opportunity to pursue their dreams and support their families. 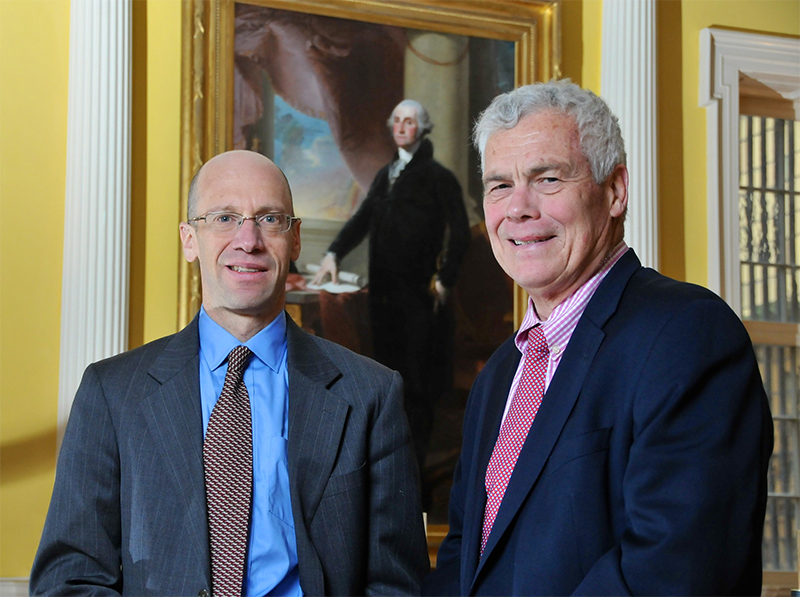 Four years ago, Griebel looked at a looming deficit and declined to rule out seeking new taxes. “I would never rule anything off limits. I think that’s a foolish thing to do in any time,” he said then. Griebel also was willing four years ago to consider highway tolls, but only if the revenue was dedicated to rebuilding transportation infrastructure. 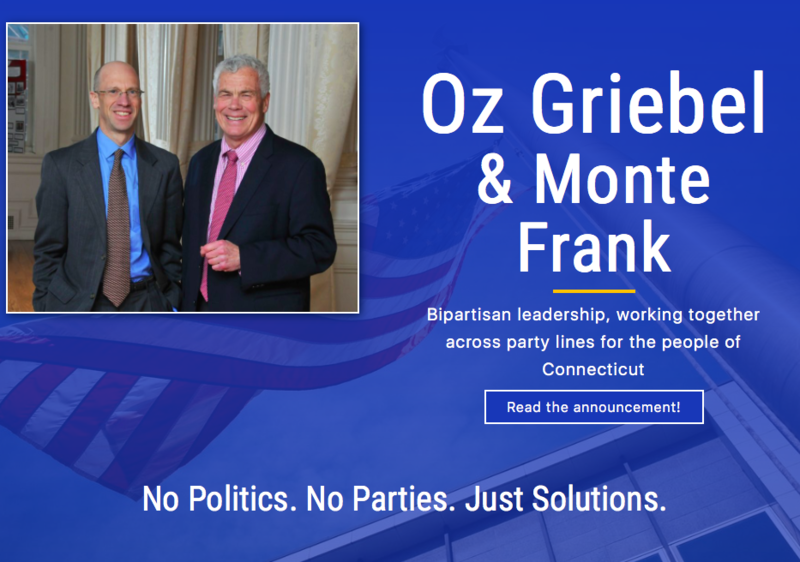 Griebel and Frank are entering a race with no frontrunners in either the Democratic or Republican parties for their nominations to succeed Malloy, a Democrat not seeking re-election to a third term. The parties will endorse candidates at conventions in May and, most likely, make their final selections in primaries in August. Griebel and Frank must gather the signatures of 7,500 registered voters to qualify for the November ballot by Aug. 8. They can begin on Jan. 2. The GOP has nine declared candidates for governor who have raised significant funds: Mike Handler, Tim Herbst, Shelton Mayor Mark Lauretti, Peter Lumaj, Steve Obsitnik, Rep. Prasad Srinivasan of Glastonbury, Robert Stefanowski, David Stemmerman and Dave Walker. The Democrats have one: Middletown Mayor Dan Drew. Hartford Mayor Luke Bronin, a Democrat, recently opened an exploratory campaign, joining four other Democrats with exploratory committees: Dita Bhargava, Sean Connolly, Bridgeport Mayor Joe Ganim and Jonathan Harris. Ned Lamont, who won a Democratic primary for U.S. Senate as an antiwar candidate in 2006, then lost the gubernatorial primary in 2010, is considering a run. House Minority Leader Themis Klarides, R-Derby, said Tuesday she has made no decision about whether to join the Republican field. In addition to the declared candidates, there are two Republicans with exploratory campaigns: Danbury Mayor Mark Boughton and Sen. Toni Boucher of Wilton. Weicker was elected governor of Connecticut in 1990, drawing support from many Democrats. Bill Walker of Alaska became the most recently elected independent governor in the U.S. in 2014.